For other uses of "Manzil", see Manzil (disambiguation). For the convenience of those who read the Quran in a week the text may be divided into seven portions, each known as Manzil. Al-Fatihah (chapter 1) through An-Nisa' (chapter 4) consisting of 4 chapters (suwar). Al-Ma'ida (chapter 5) through At-Tawba (chapter 9) consisting of 5 chapters. Yunus (chapter 10) through An-Nahl (chapter 16) consisting of 7 chapters. Al Isra' (chapter 17) through Al-Furqan (chapter 25) consisting of 9 chapters. Ash-Shuara' (chapter 26) through Ya-Seen (chapter 36) consisting of 11 chapters. As-Saaffat (chapter 37) through Al-Hujurat (chapter 49) consisting of 13 chapters. Qaf (chapter 50) through An-Nas (chapter 114) consisting of 65 chapters. ^ a b Jaffer, Abbas (2009). 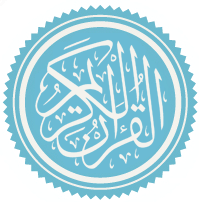 An introduction to Qurʼanic sciences = ʻUlūm al-Qurʼan. ICAS Press. p. 16. ISBN 9781904063308. This page was last edited on 6 March 2019, at 17:49 (UTC).